Live soap making at Miss Match Party, Café Averechts, Utrecht | Esc.rec. Want to see Weerthof do some actual LIVE soap making and usb encasing? The 21st of September he sets up his cooking lab at Miss Match Party in Café Averechts, Utrecht. On October 2nd Esc.rec. releases Weerthof‘s Out of Control EP. Weerthof is currently in the process of making an exceptional limited edition. 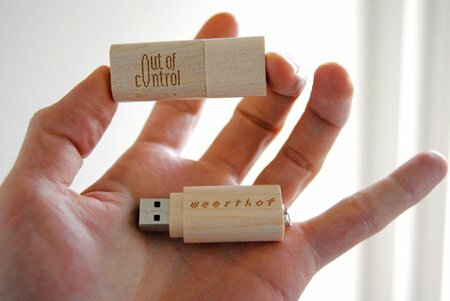 Thus, Out of Control will not only be available as a pay-what-you-want download, but also (here it comes) … as a wooden usb-stick, encased in a bar of soap, home-made by Weerthof! He’s now teaching himself the fine craft of soap making, making prototypes and delving in the fickle universe of smell. Want to hear and see the music in action or get your hands on the finished product? Come to Theater de Krakeling in Amsterdam on October 2nd, and see the show by Wietske Vogels, of which this originally is the soundtrack, and be one of the first to get your hands on one of these soapy babies! Want to see Weerthof do some actual LIVE soap making and usb-stick encasing? The 21st of September he sets up his cooking lab at Miss Match Party in Café Averechts, Utrecht.